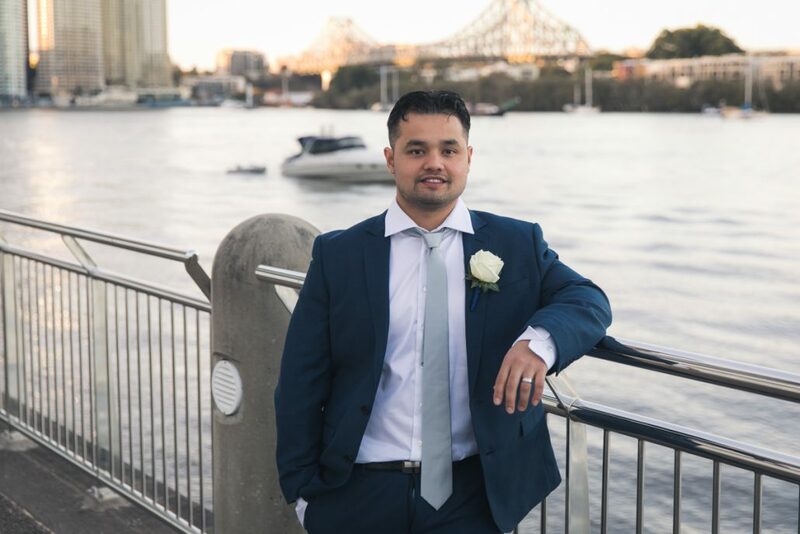 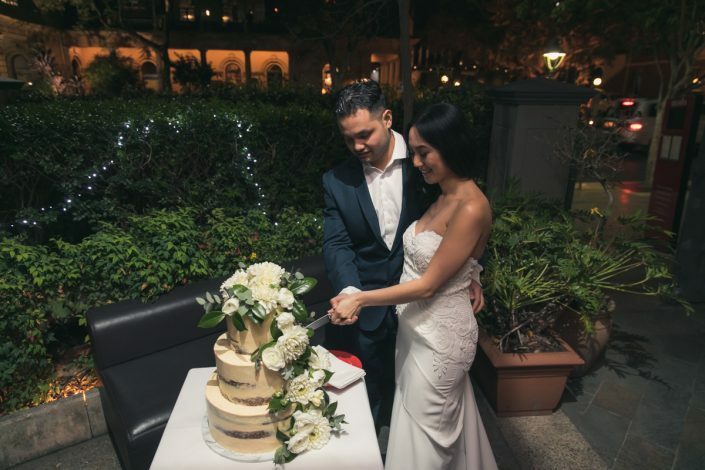 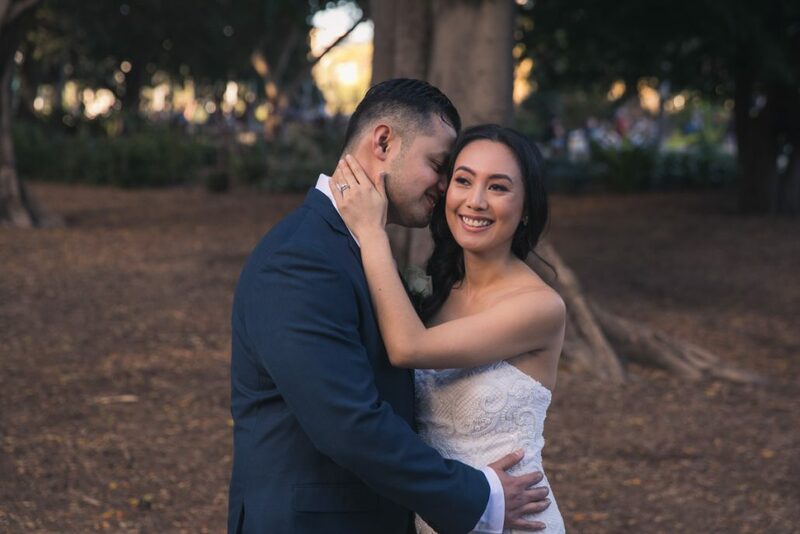 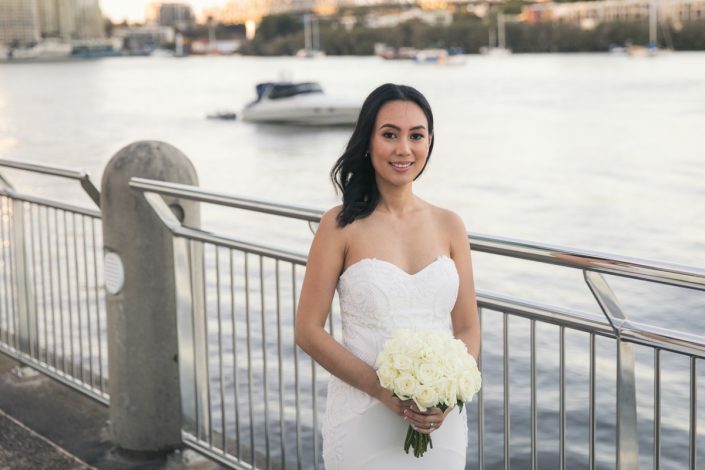 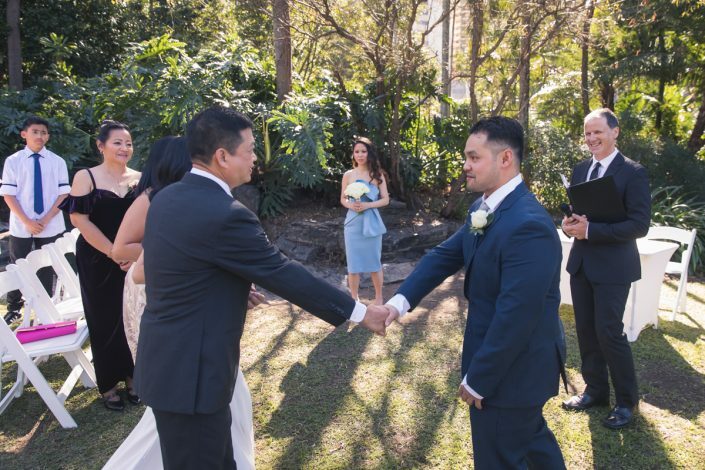 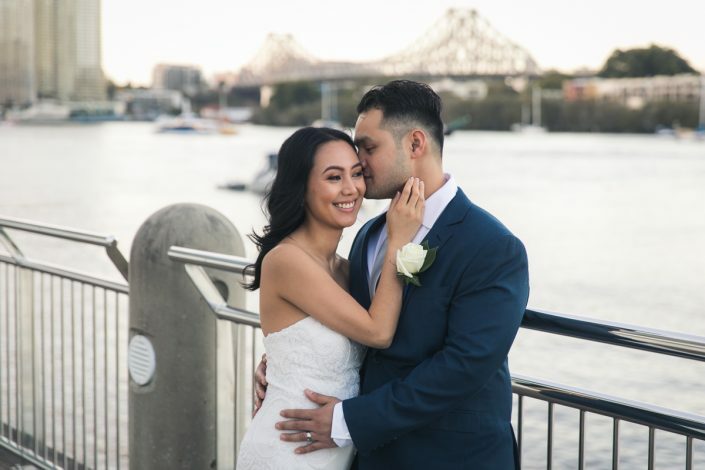 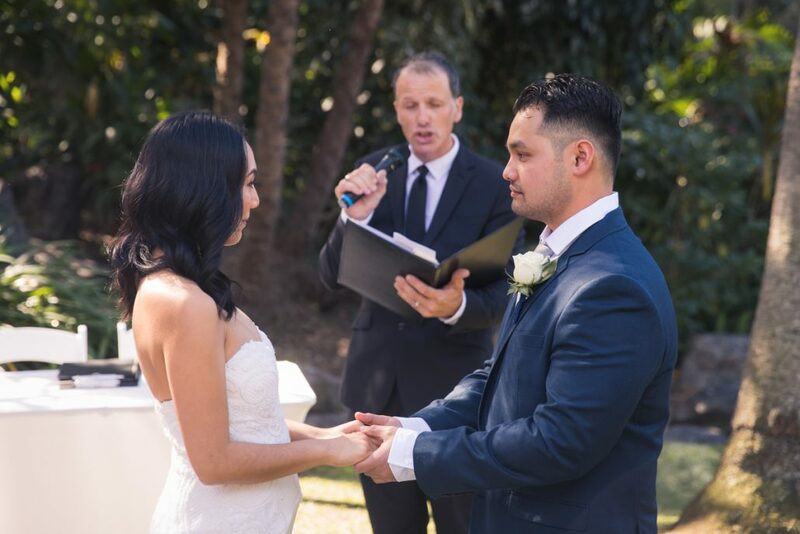 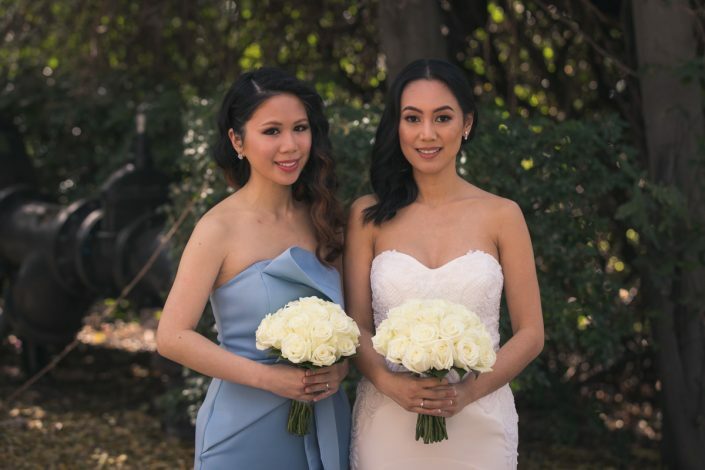 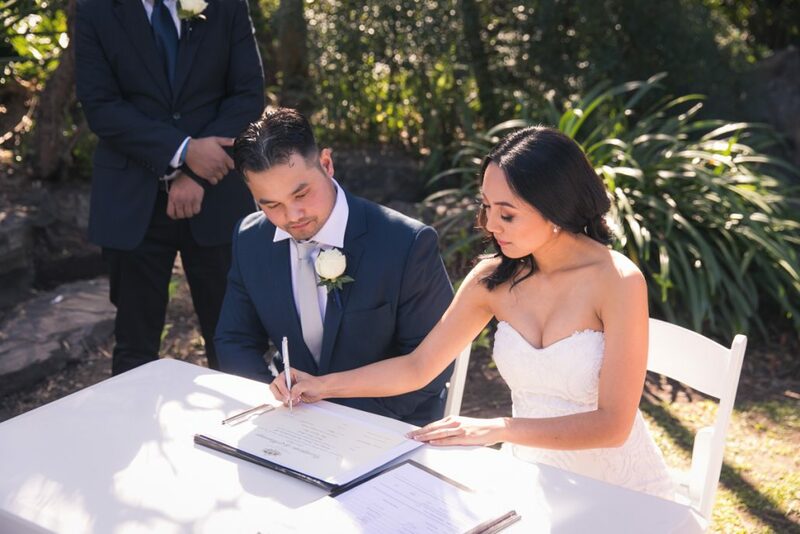 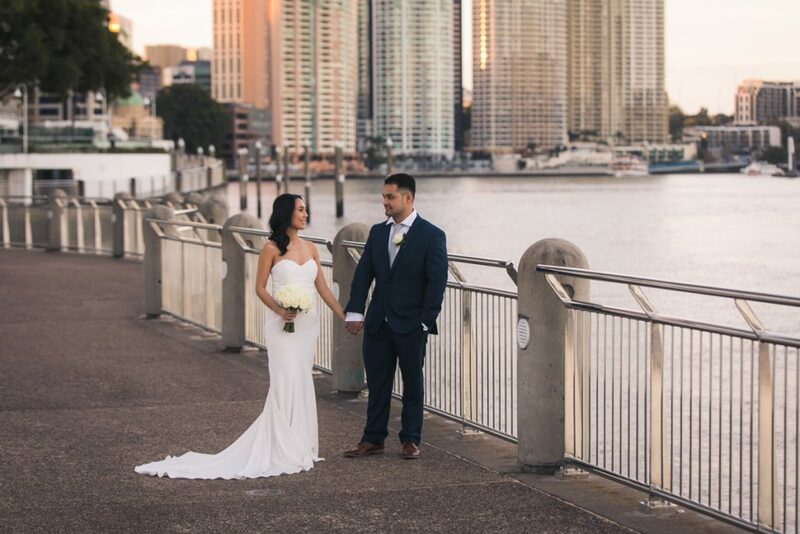 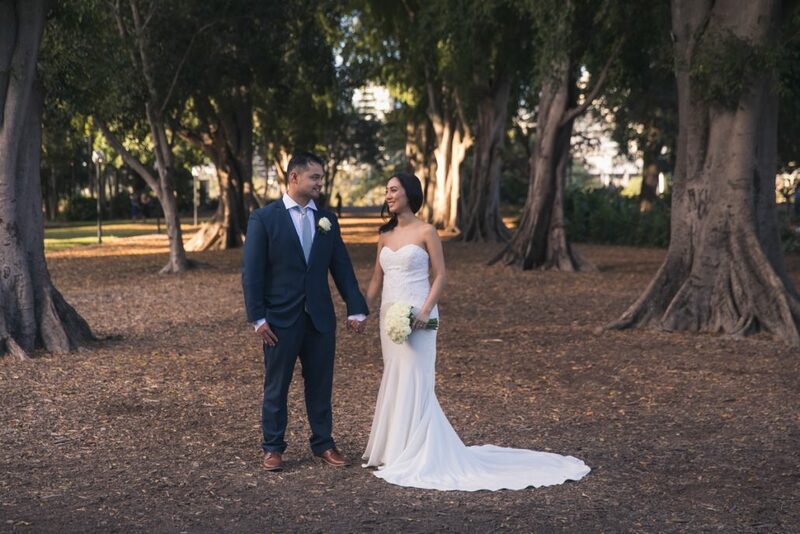 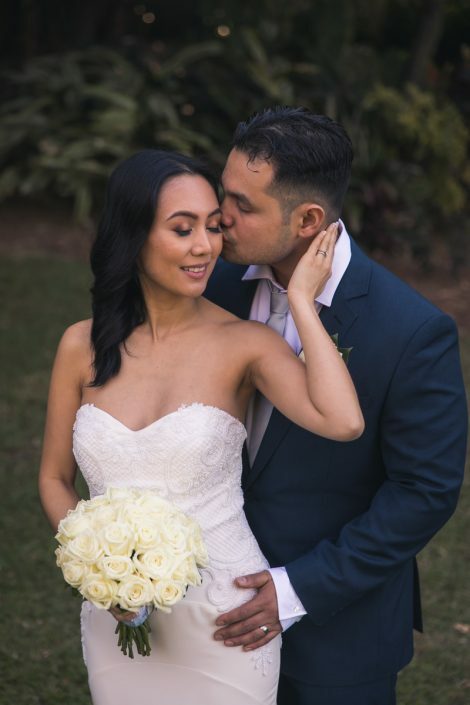 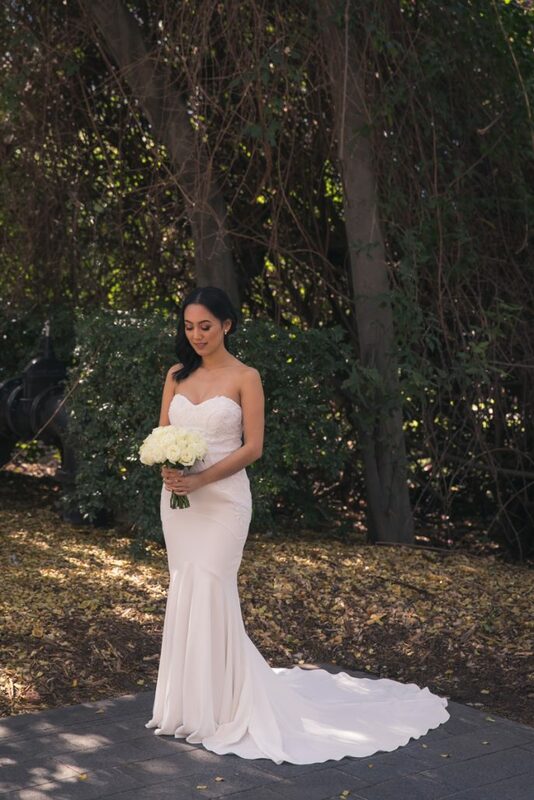 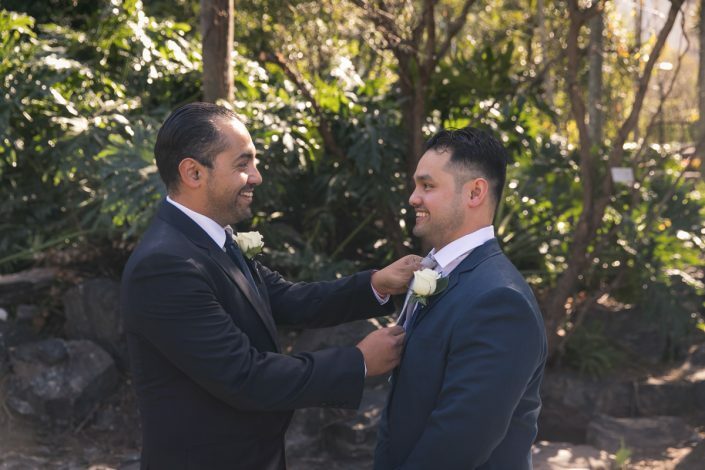 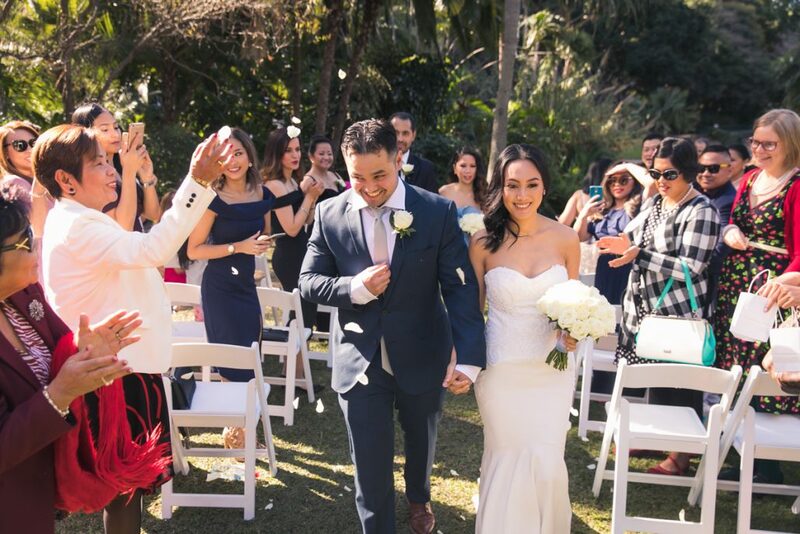 Mary and Sharmin were married at Brisbane Botanical Gardens in August of 2017 and had their reception at Moda Restaurant in the Brisbane CBD. 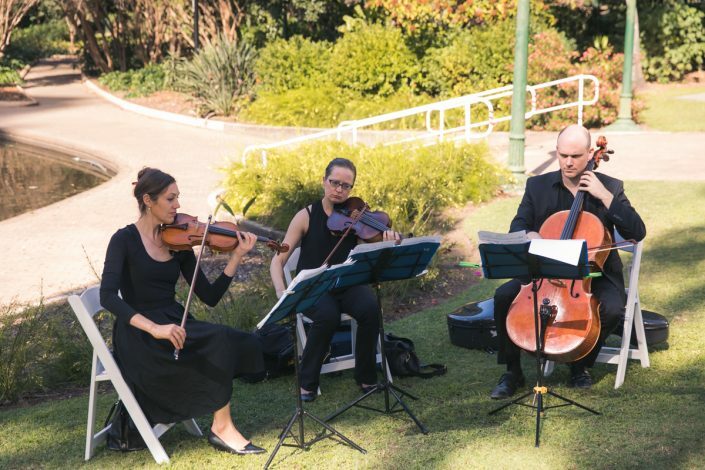 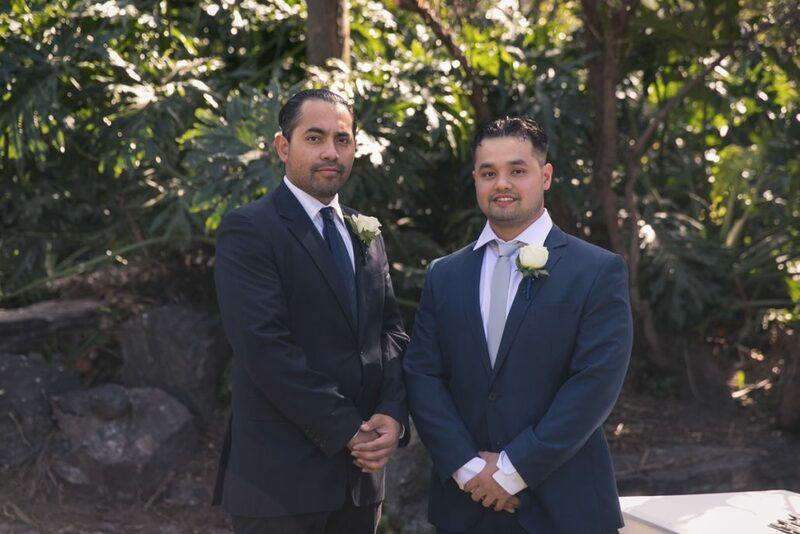 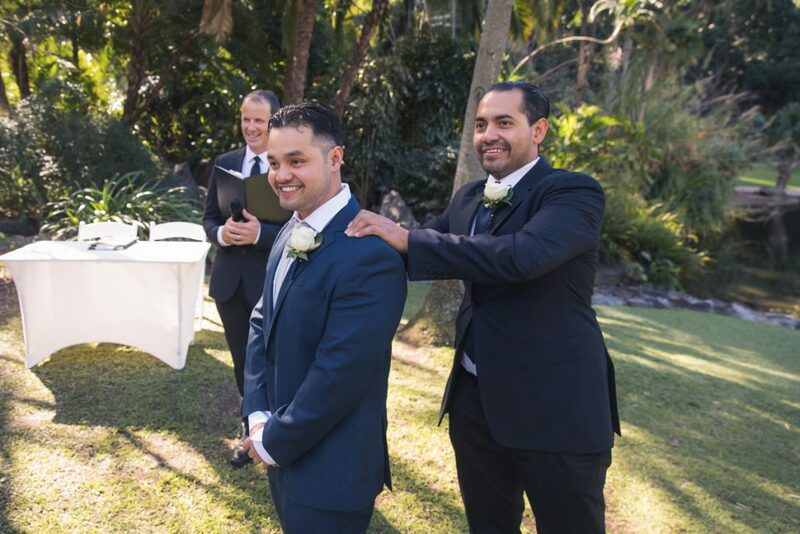 We had a fantastic photo session after the ceremony which was conducted at the Botanical Gardens and alongside the Brisbane River. 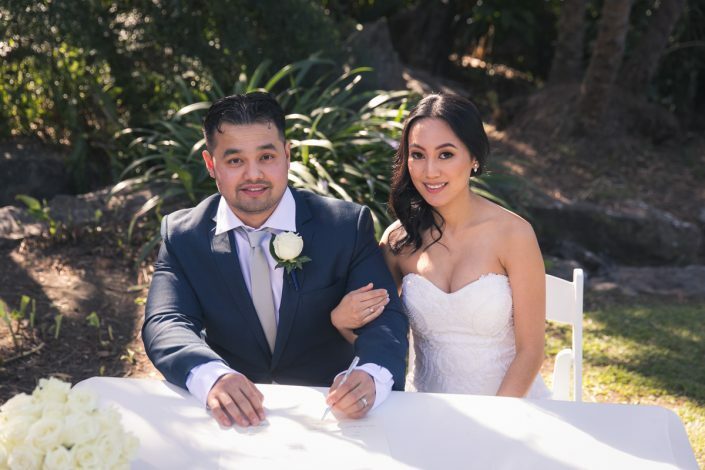 Both Mary and Sharmin live in Perth, however they are originally from Brisbane and many of the family members are also in Brisbane. 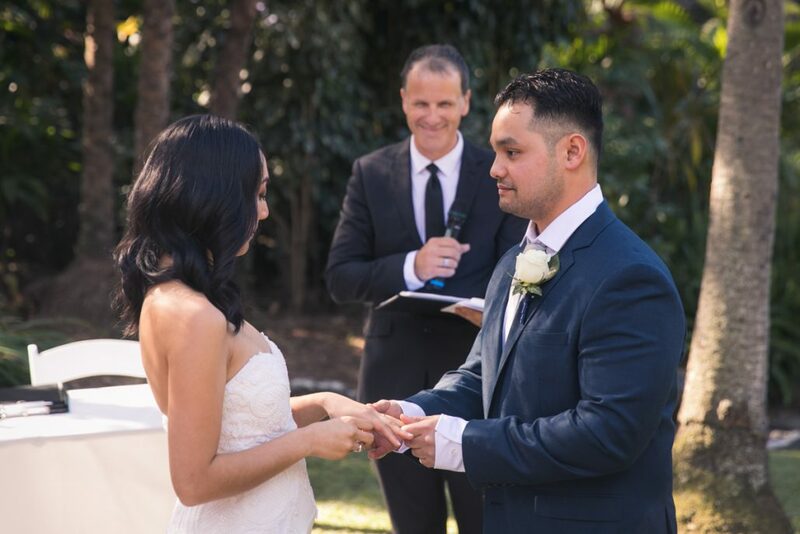 They organised their wedding from Perth and came over a few days before their wedding day. 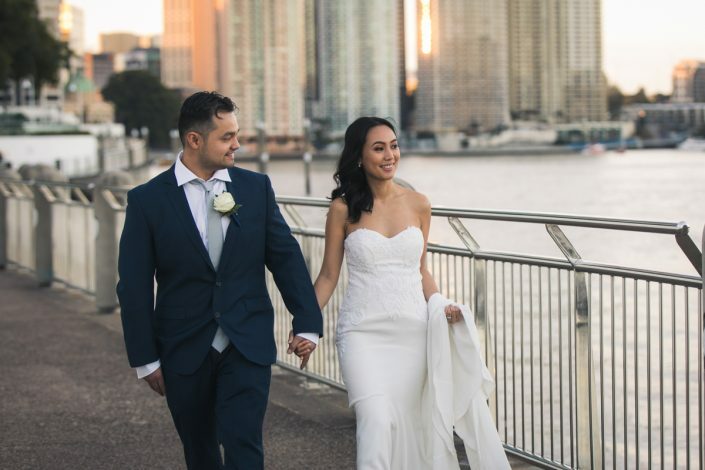 I had not met with Mary and Sharmin due to our geographical distance, instead we had a chatted over the phone several times and liaised via email leading up to their wedding day. 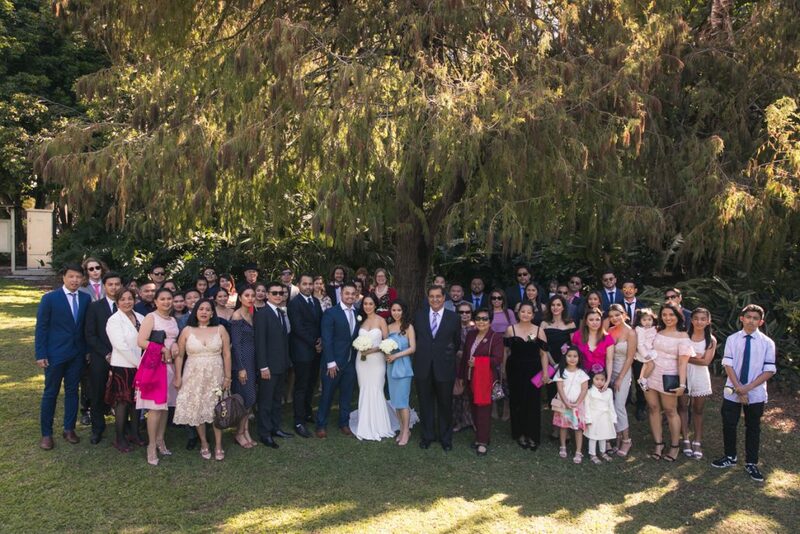 I have seen and photographed many weddings organised in a similar fashion, where the bride and groom organise 99 percent of their wedding interstate. 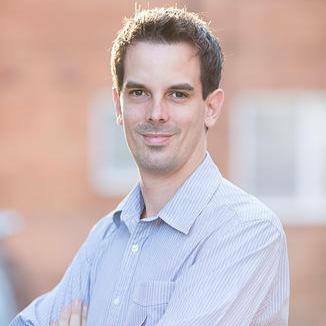 Although it might seem risky, in reality if you select the right vendors who are experienced in providing their particular service, you can pull this off without too many issues arising. 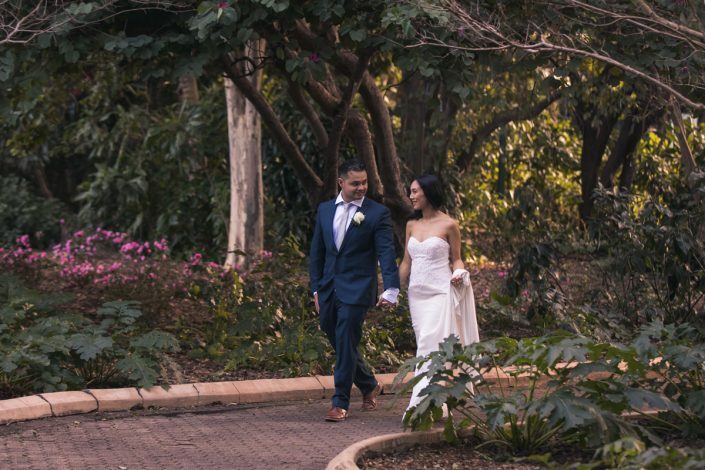 Mary and Sharmin selected the Botanical Gardens in Brisbane to hold their ceremony which is a beautiful spot and great for wedding photos. 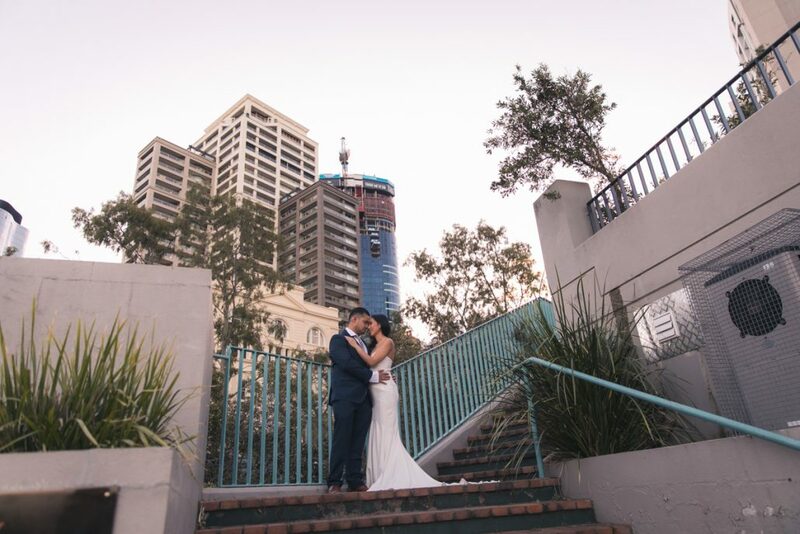 Although it was a sunny day, we managed to find some great locations with nice light for our portrait session. 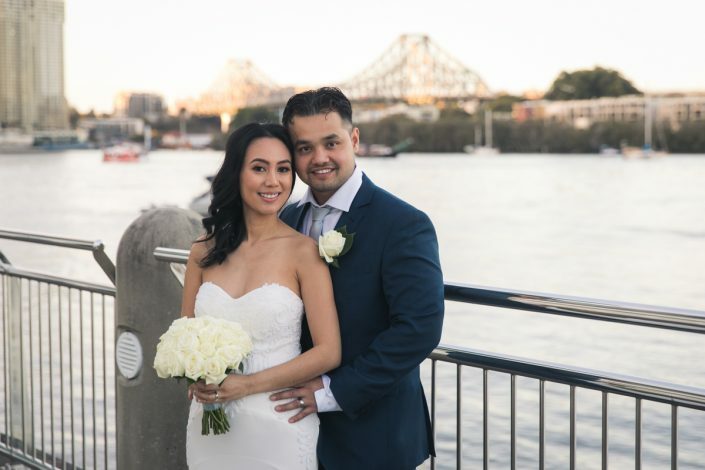 After this, we headed to the Stamford in Brisbane where Mary and Sharmin were staying so they could have a rest, refresh and something to eat. 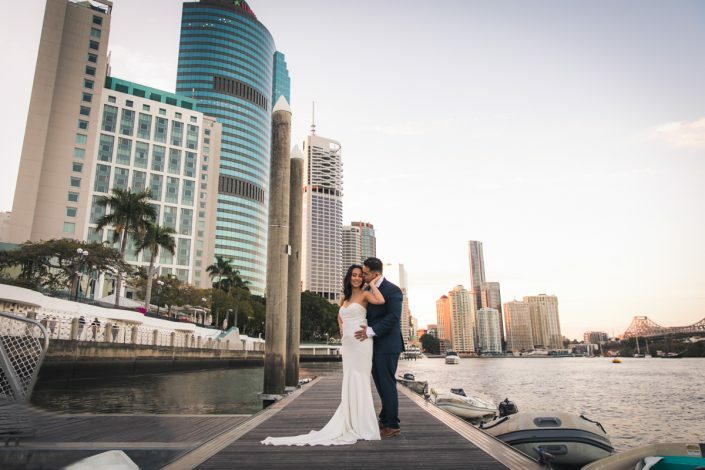 We then headed down to Brisbane river for some more bride and groom portraits. At this time, the sun was setting behind the city so we had some great colours in the sky and nice soft light. We then made our way to the reception which was held at Moda Restaurant in Brisbane. Moda Restaurant is one of Brisbane’s best restaurants that combines french cruisine with a rustic flavours. It offers a welcoming atmosphere with impeccable service. 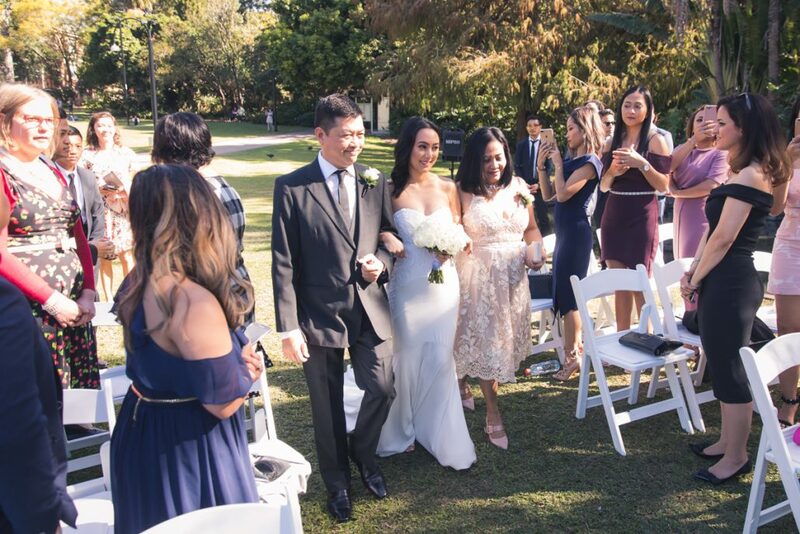 Mary and Sharmin opted for my 5 hour package which was just the right amount of time to cover the ceremony, family and location photographs and cake cutting at the reception. For more information please see our wedding photography packages. 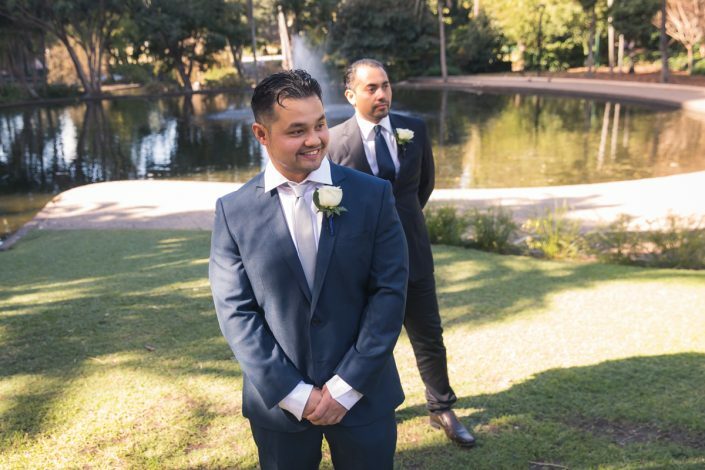 Fantastic photos Lucas. Well done!